Madhubann – The Fashion Garden focuses on providing the best clothing solutions available in the market. We understand your fashion needs, which is why our spectacular collection includes the latest fashion. 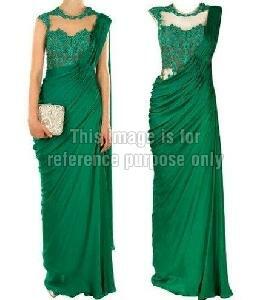 We are offering you a variety of Latest Party Wear Sarees Online with doorstep delivery system. It is every woman’s desire to look different at social gatherings and parties, and be the center of attraction. With collection of appealing Latest & Designer Party Wear Sarees, we assure that you will be the center of attention at any party. 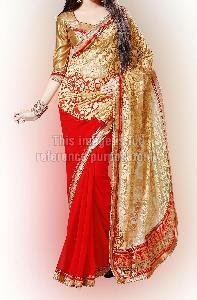 We are offering fine quality Partywear Sarees Online for Women at reasonable prices. You can Buy Shimmer Sarees, Designer Cobalt Blue Sarees, Chic Fern Sleeveless Sarees and Heavy Work Sarees from our online store. We are making our mark in the fashion industry day by day because of uniqueness of style, variety, fine quality and reasonable prices. Our Party Wear Sarees are a must-have for every woman.